By keeping track with the latest market developments and needs of our esteemed clients, we are engaged in offering an exclusive collection of Road Spring Posts. Our products are manufactured in such a way that they are clearly visible both at daytime and at night. These spring posts find applications at dangerous U-Turns, centre lane divisions, dangerous medians, construction zones, no-entry zones and multi lanes. 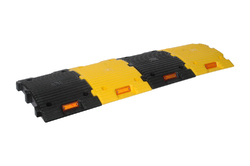 As remarkable entity of this industry, we are offering a wide spectrum of Road Speed Bumps to our valuable clients. 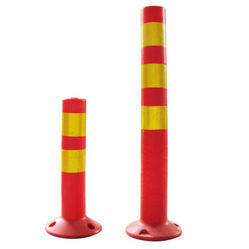 Our up growing organization is an eminent brand in offering a wide assortment of Road Safety Cones to our clients. 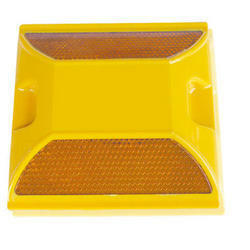 We are a paramount name in providing a vast array of Road Safety Studs to our patrons.